A pretty big deal in healthcare IT this morning: WorldOne, a health data and intelligence company based in New York, says it has secured a $35 million funding commitment from Deerfield Management, also in New York. The main focus is to expand Sermo, the Cambridge, MA-based online community for physicians, which WorldOne acquired last July. Together with Sermo, WorldOne is looking “to build a much needed interactive destination for physicians around the world,” says Peter Kirk, WorldOne’s CEO, in a statement. The idea is to give doctors a place to go to collaborate with peers, read medical news, participate in market research, and compete in medical challenges—all via the Web or mobile devices. WorldOne says its global networked community now includes more than 385,000 doctors (many from Sermo), and a total of 1.8 million healthcare professionals in 80 countries. 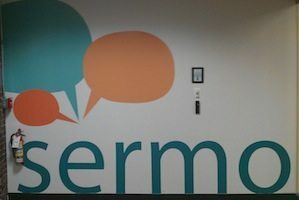 Meanwhile, Sermo says it has upwards of 25 employees in the Boston area and is currently hiring for engineering, marketing, and community positions. Sermo was founded in 2005 and built a business around selling access to (and insights from) its physician network to pharma companies, financial institutions, online education toolmakers, and other organizations. The firm raised more than $40 million in venture and growth capital from investors including SoftBank Capital, Longworth Venture Partners, and Legg Mason Capital Management. Yet the business had its ups and downs, notably during the recession of 2009-10, when cutbacks at drug companies and financial services firms hurt Sermo’s bottom line and forced it to downsize and shift its strategy.